I can honestly say that I am not looking forward to my re-entry into the “real world” after a month at camp where I will have to pull out my wallet once again to pay for gas, groceries, and other bills. No doubt the dollar continues to buy less while the price of just about everything continues to go up. There is one place; however, where the value of the dollar has remained steady over the past 46 years! Fair Day is a great time for brothers and sisters to reunite! 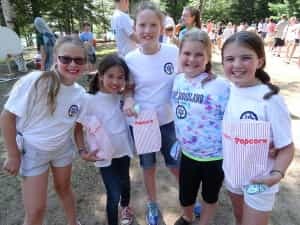 On Sunday, the Woodland girls took a field trip to Towering Pines for the annual TP fair, and this weekend, the boys will head east on County D for the Woodland Fair. As I was digging into my pocket for some “bills” to purchase a yummy treat at the TP Fair, I was pleasantly surprised to discover that a cup of homemade ice cream was only $2 in “TP dollars” – the same price I paid in 1986 during my first summer as a counselor! What a deal! This coming Sunday, the boys from Towering Pines will be able to play various games and enjoy ice cream, popcorn, and bug juice for just a few “Woodland bucks” per game or treat. 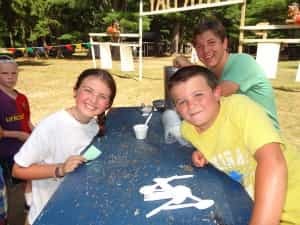 The great thing is that the “bank” is open on Sunday’s, and campers simply have to request a “cash advance” from a number of “tellers” so that they can enjoy all the fun a carnival has to offer. 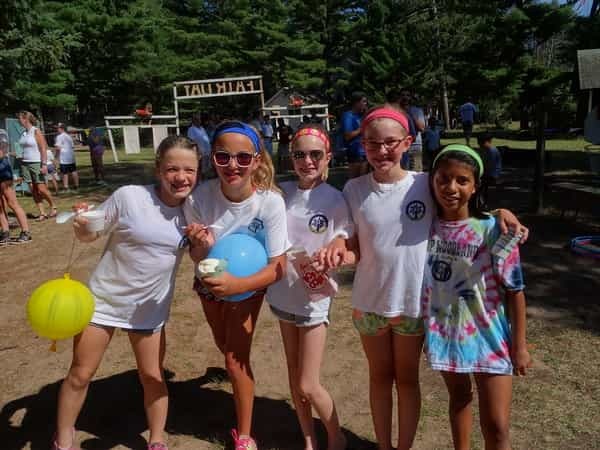 There will be fortune telling, a dunking machine, marriage booth, arm wrestling, fish pond, and a plethora of other games set up on and around the volleyball court – it promises to be a FUN time! p.s. It is also interesting to note that some campers save their leftover TP/Woodland “dollars” from previous years and bring this “money” with them to camp to spend during the current year. Even without gaining any interest, the value of the TP/Woodland dollar remains the same from year to year…that you can count on!